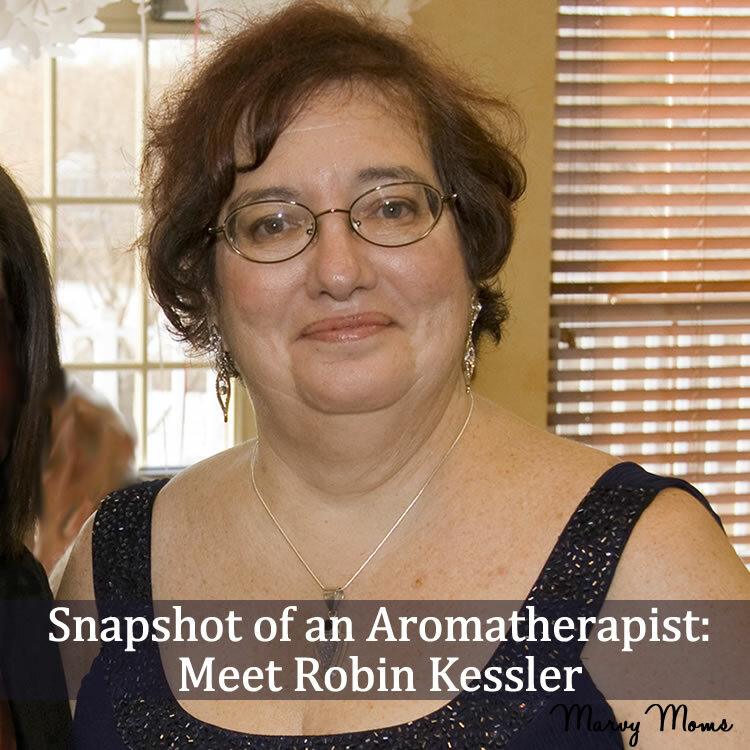 Meet my dear friend, Robin Kessler, of RBK Aromatherapy. Robin contacted me while I was still going through my aromatherapy certification program at Aromahead Institute. She said she liked Marvy Moms and would I please be an admin for her Facebook group, “Safe Essential Oil Recipes Only!” Since then we have talked almost daily either online or on the phone and we have met in person twice. Robin has a tremendous drive to help people and she has a heart of gold. She is passionate about essential oil safety and shares safe practices by giving seminars in her community. I was always into things natural and at the time i had problems with health issues and wanted to find an alternative method for pain management. Unfortunately I realized that the information given to me was unsafe and so I decided I needed more education to learn how to use the oils correctly. The ability to use alternate means to help mind, body and spirit without bad side effects if used correctly. I am a Certified Computer Consultant which makes me really good at researching the internet for information I need for my aromatherapy practice. I use essential oils to help myself with the aches and pains that I have in my back and knees by making blends with salves. I also help my husband who has five herniated disks to be a bit more free of pain. I diffuse oils and burn resins as needed for stress. 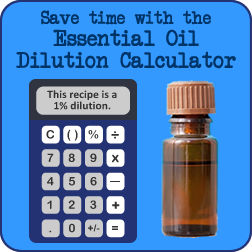 I created a Facebook called Safe Essential Oil Recipes Only! which is a unique database of essential aromatherapy recipes that are sorted by category. I also formed an educational group called Frankincense Resin//And All Tree Resins to help people to understand how the resins can be used therapeutically. I started a group about Frankincense Resins because I wanted to educate those on what Frankincense is all about: its roots, its history and how it can be used in aromatherapy. Given that it is the resin, it can be ingested as long as it is used safely. It is used in meditation by burning and has similar or the same properties as its distilled partner. It can be used for pain, anxiety and stress, and can be used for an extended period of time. I also want people to learn about the resins that contain boswellic acid which has extremely high anti inflammatory properties. I have learned so much from the professionals in this group and I have incorporated this knowledge into my own practice. I make salves to help people with arthritis and joint pain, and I also make a tea of Frankincense Boswellia Sacra when I am stressed out. I give free seminars on what aromatherapy is all about and how to use it safely to nonprofit groups all over Central NJ. I am the head Aromatherapy Consultant for a large hospice group where I teach how to use aromatherapy safely and also visit elders and those on hospice care and provide aromatherapy support to help those with anxiety, insomnia, dementia and to give those with Alzheimer disease a bit more clarity. I also work with those who need help to relax and let go as they transition into the next realm. I enjoy making blends for myself, family members, and clients, but what I absolutely love is working with hospice patients. For example: I was introduced to one such individual whom I will call Lillie to protect her anonymity. Lillie lived in Poland as a child. She lived near an orange farm and loved to sit in the fields to eat and smell the oranges. Unfortunately her family was taken away by the Nazis and put into a concentration camp. She was one captive away from being killed when the camp was liberated. She lost most of her family and immigrated to the USA. Later in life she developed cancer and Alzheimer’s disease and was placed in a nursing home and put into hospice care by her family. The problem was that because of her disease she repeatedly regressed to the unhappy place in the far reaches of her memory. She had to be restrained for fear that she would hurt herself and she constantly screamed and yelled about what happened to her when she was in the camp. Her hands were closed fisted and her face had a terrified look all the time. The cancer was taking over her body and she did not have much time left to live. I wanted to find a way to refocus her so that she could find the happy place in her memory allowing her to move on in peace. The blend I made contained sweet orange (Citrus sinensis) essential oil and Petitgrain (Citrus aurantium var. amara) which was put into a diffuser. I made a stock blend in a 5ml bottle of half sweet orange and half petitgrain to fill the bottle using the drop by drop method. Sweet orange is a Monterpene-rich essential oil high in d-limonene. Its calming properties help settle anxiety and it is calming, grounding and relaxing with lots of yin. I put three drops of the blend into the diffuser and turned it on. I instructed the caretaker to put this on for a half hour and then turn it off for an hour. Since there is not someone there all the time to do this, I explained to do it as much as possible. I went back to the nursing home a few days later and found that things had changed. The nurses told me she stopped screaming and yelling and stopped lashing out. I asked if I could call in a few days and check to see how she was doing. Three days later I was told she had stopped clinching her hands and relaxed them out and was actually smiling. Three days after that she passed, but I was informed it was quietly and in her sleep and very peacefully. Mostly education, to teach more on how to use aromatherapy safely. Research! Research! Research! Make sure the school is affiliated with NAHA (National Association of Holistic Aromatherapists) and AIA and meets all the necessary requirements. It is a rewarding field to be in and it is so important to learn how to use essential oils correctly and safely. Complementary Nursing in End of Life Care – Integrative care in Palliative Care by Madeleine Kerkhof-Knapp Hayes: This book is wonderful for those who want to understand and work with the elderly and hospice. It helps me greatly in my practice. What else would you like to share with Marvy Moms readers? Whatever you do please educate yourself and do not take advice from anyone who is not trained or certified in Aromatherapy. Thank you, Robin, for all that you do with hospice patients and sharing with others about the correct and safe use of essential oils!